The Japan based Yokohama brand is among the top five tyre manufactures in the world and has a rich tradition of creating exceptional tyres with a lot of grip. Yokohama has built up a reputation as a big player in the tyre industry and is a firm favourite with car modifiers and motorists who specialise in modifying their cars to perform at maximum levels. 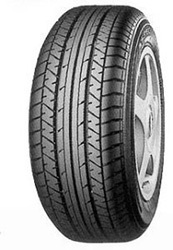 The standard of tyres that the Japanese company produces is at the high end of the spectrum and they are capable of withstanding any obstacle. 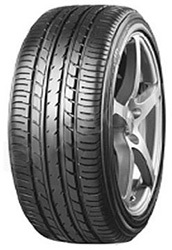 In terms of price, Yokohama tyres are some of the cheapest on the market when compared to the five major brands in the industry, so this means that you are getting excellent value for money. Unlike other brands however, these tyres are more suited to high performance cars which are capable of reaching high speeds and require a lot of grip for maximum performance. There aren't many better tyre compounds then what Yokohama can offer, as they are definitely a worthwhile investment. 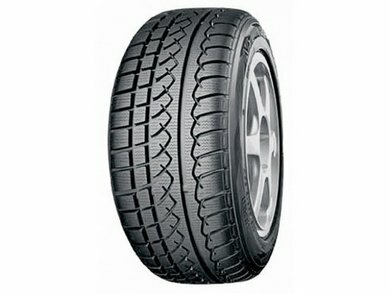 What are some of the key features of a Yokohama tyre? 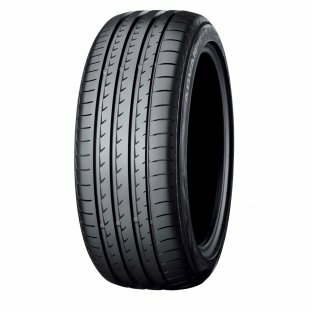 Where can I find an affordable set of Yokohama tyres? 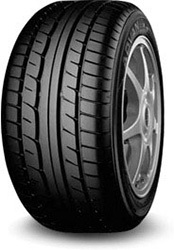 If you are looking for affordable Yokohama tyre options then the team at Easywheels are here to help you out, and we can provide you with a great range of high quality tyres at a great price. So if you are looking for a really great price and you still want the same high quality and reliability that you have come to expect from traditional tyre manufacturers, you can't go past what the team at Easywheels can offer you. Available in just the one size, this classic tyre is a popular choice among classic car lovers, particular liked by those driving classic mini's. 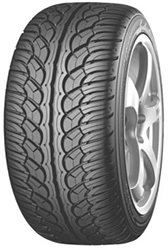 Approved and recommended by Toyota as original equipment on some of their models, the Yokohama Advan A043A provides exceptional perfomance with grip remaining uncomprimised in both wet and dry conditions. 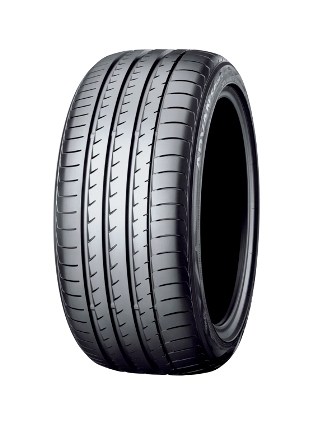 Offering a smooth ride, the Advan A043A combines safety with comfort, with excellent braking perfomance during EU tyre label testing. 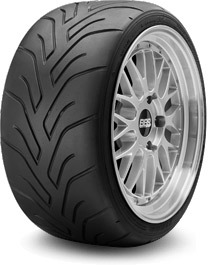 The Yokohama A048R provides racetrack perfomance whilst remaining road legal. Designed for sports cars during summer use, it provides exceptional grip and levels of perfomance in the dry. It's cutting edge design aims to give more precise control when cornering and a more responsive all round perfomance. A larger footprint offers superior levels of grip over it's predeccesors, and with so many perfomance features it's no wonder this is a firm favourite among track day and perfomance car enthusiasts. 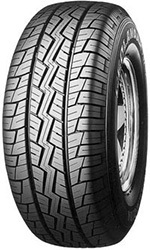 The Yokohama A048 Soft provides racetrack perfomance whilst remaining road legal. Designed for sports cars during summer use, it provides exceptional grip and levels of perfomance in the dry. It's cutting edge design aims to give more precise control when cornering and a more responsive all round perfomance. 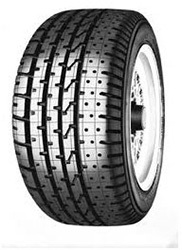 A much softer tyre for use in cooler conditions, allowing a much lower peak perfomance temperature. Perfect for those track days in England or simply taking the car for a spin on the roads. The Yokohama Advan A10A has been specially designed in partnership with Mitsubishis in order to maximise the perfomance when used on a Mitsubishi vehicle. Exceptional levels of grip and a responsive ride are the result of fine tuning on behalf of the engineers to creat a well balanced tyre offering an incredibly smooth ride. Just looking at the list or approved original equipment that the Yokohama A10E has to it's name speaks volumes about the quality of this tyre. 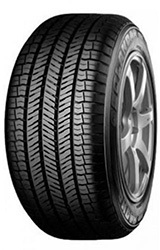 It's been approved and recommended as original and replacement equipment on Lexus, Subaru, and Honda, and designed in partnership with these mamoth manufacturers has led to a well balanced tyre offering supreme levels of handling and perfomance, particularly during dry conditions. Offering an incredibly smooth ride for such a high perfomance tyre, the Yokohama A10E is a real joy and a great choice for anyone, particularly those owners of Lexus, Subaru and Honda vehicles. 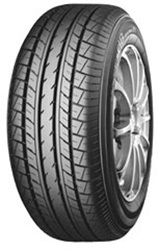 Like many of the tyres in the Yokohama Advan A10 range, the Yokohama A11A has been designed in partnership with one of the manufacturing giants, Mazda. 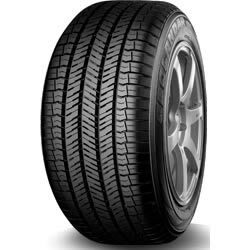 Being built to the specification of the vehicle manufacturer, this enables a seemless partnership between the tyre and the car, offering superb levels of handling and great responsiveness, even in wet conditions. With even tread wear, low noise emissions and long life in the tread, the A11A is a popular choice, not just for Mazda drivers. 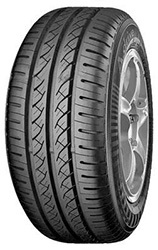 Designed in partnership with Honda, the Advan Sport A345, is part of a huge range of exclusive Vehicle manufacturer models from Yokohama and part of the maximum perfomance summer tyre range designed and manufactured by the Japanese tyre giants. The follow on product from Yokohama, replacing slowly the ever popular Advan A348, the Yokohama Advan A349 will be hoping to emulate it's predecessor's success in scoring a wide number of original equipments. The follow on product from Yokohama, replacing slowly the ever popular Advan A348, the Yokohama Advan A349A will be hoping to emulate it's predecessor's success in scoring a wide number of original equipments. 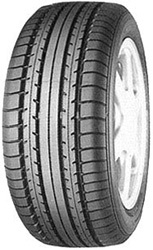 The Yokohama A34 LZ follows a long line of similar tyres in being produced in conjunction with a major vehicle manufacturer. In this case the A34 LZ has been produced and designed in conjunction with Mitsubshi to offer a great all round tyre that's perfomance is further enhanced when used on some Mitsubishi models. 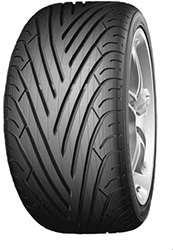 Superb handling in both the wet and dry, with strong scoring in EU Tyre label tests. 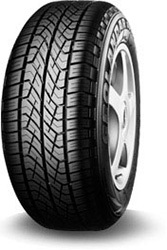 Designed as an all round sports tyre, the Yokohama A520 has been a solid choice for years. It is soon to be superseeded by the A539 as an upgrade to the model. However, achieving a huge range of OEM approvals and having great crednetials in terms of perfomance and handling in all conditions makes this tyre still a great choice, and we're pretty sure Yokohama wont be phasing it out too soon! 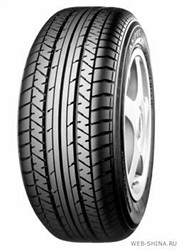 Designed to be an all round sports tyre, the Yokohama A539 ensures great grip in both the wet and the dry. With great mileage from each tyre and the low noise emissions, the A539 can easily be used both on the track and off. Whilst there are other tyres in the Yokohama range that offer slightly enhanced wet weather performance, many don't match the A539 in dry weather. Due to the superb test results achieved during both internal and EU tyre labelling tests, the Yokohama Advan A680 has been approved by Toyota as OEM on some of it's current models. Offering truly great levels of grip in dry conditions and perfomance in the wet to match, the Advan A680 is a perfect tyre whether you own a Toyota or not. Smooth and comfortable, without any compromise in perfomance with relatively low noise emissions for a tyre of such high perfomance. A great conventional every day tyre offering up a huge range of features that have all been packed in to what looks like a very ordinary tyre on the surface. With solid perfomance credentials in both the wet and dry and with incredible fuel economu and great mileage on every tyre, the Yokohama A.Drice A01 is one of Yokohama's flagship tyres. Soon to be replaced by the newer model the BluEarth AE01. The precurrsor to the C.Drive 2, the original Yokohama C.Drive si designed for compacts, small saloons and smaller family cars. Like it's successor, the C.Drive offers uparrelled comfort and safety without compromising on handling and performance. Despite scoring highly in the wet weather testing for the EU tyre label the Yokohama C Drive still offers a fun drive with great handling. The tag line from Yokohama for the C.Drive is: offering peace of mind and pure driving enjoyment, something that is delivered through thousands of hours of research. Like so many tyres in the Yokohama range, you only need to look at the Yokohama Advan Sport V103's number of Original Equipments that it has achieved in order to gauge it's success. With Honda, Porsche, Mercedes and local allies Nissan all awarding OEM status to this tyre for some of the models in their range this one overqualified tyre. The Flagship tyre for so long in the Advan range, the V103 offers incredible perfomance in all aspects, whether through corners in the wet or dry or braking, the Advan Sport V103 wont let you down. The Asymmetric tread pattern and block design allow for supreme water dispersion and grip in the wet, and low noise emissions combined with a smooth ride, make this tyre a winner in nearly all critics books. Like so many tyres in the Yokohama range, you only need to look at the Yokohama Advan Sport V103s's number of Original Equipments that it has achieved in order to gauge it's success. With Honda, Porsche, Mercedes and local allies Nissan all awarding OEM status to this tyre for some of the models in their range this one overqualified tyre. The Flagship tyre for so long in the Advan range, the V103s offers incredible perfomance in all aspects, whether through corners in the wet or dry or braking, the Advan Sport V103s wont let you down. The Asymmetric tread pattern and block design allow for supreme water dispersion and grip in the wet, and low noise emissions combined with a smooth ride, make this tyre a winner in nearly all critics books. The V103s is an ultra high perfomance tyre desgined for super cars and those looking for a tyre that handles well at speeds over 300kmh. The original equipment nod from Mercedes for use on their SL - Class, speaks volume for this tyres capabilites and perfomance. Internal test results and EU tyre labelling tests all score the Advan Sport V105+ highly. The Yokohama Bluearth AE-01 is the predeccsor to the Bluearth - 1 and has many of the environmentally friendly features found on it's successor. 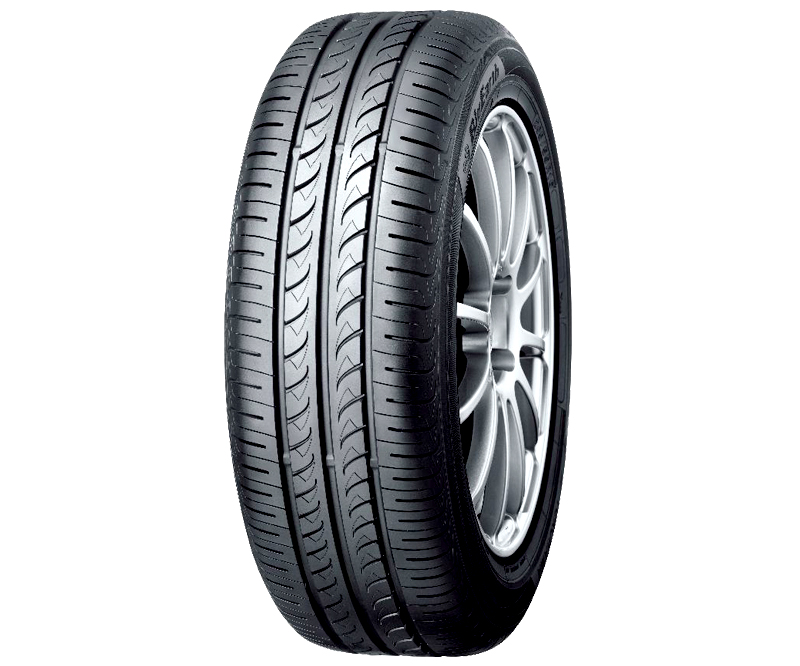 Desgined for compacts and small family car the Yokohama Bluearth AE-01 is a great fuel saving tyre with up to 20% less rolling resistance than the orginal compact car tyre, the A.Drive. 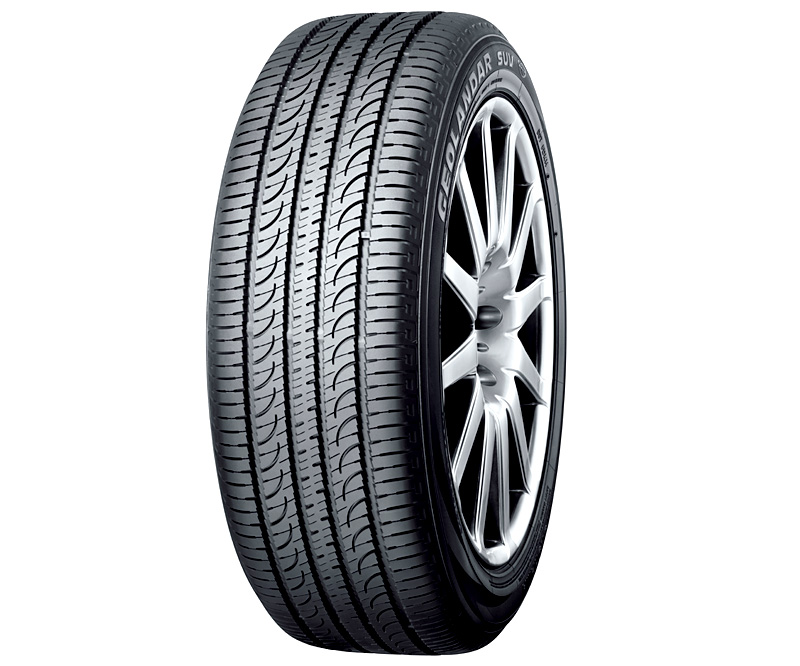 The flagship summer touring tyre for Yokohama's eco friendly tyre, the Yokohams E501 is designed specifically for the hybrids and fuel efficient vehicles, with usage on smaller compacts acceptable and encouraging greater fuel efficiency. Due to the make up of the tyre and the use of Yokohamas renewable orange Oil this range is made up from materials of which over 80% are recyclable. This forms the SNPR compound allowing for lower noise emissions and less rolling resistance. Approved by Toyata as original equipment and part of the AVS dB range, this tyre is great for those looking for comfort and quiet. Designed to ensure maximum comfort the AVS dB range will suprise many with it's superb handling and safety features exceeding expectations in nearly all areas. With great perfomance in both the wet and the dry conditions, the AVS dB E70B is a great choice for those not convinced of the benefits of winter tyres yet. 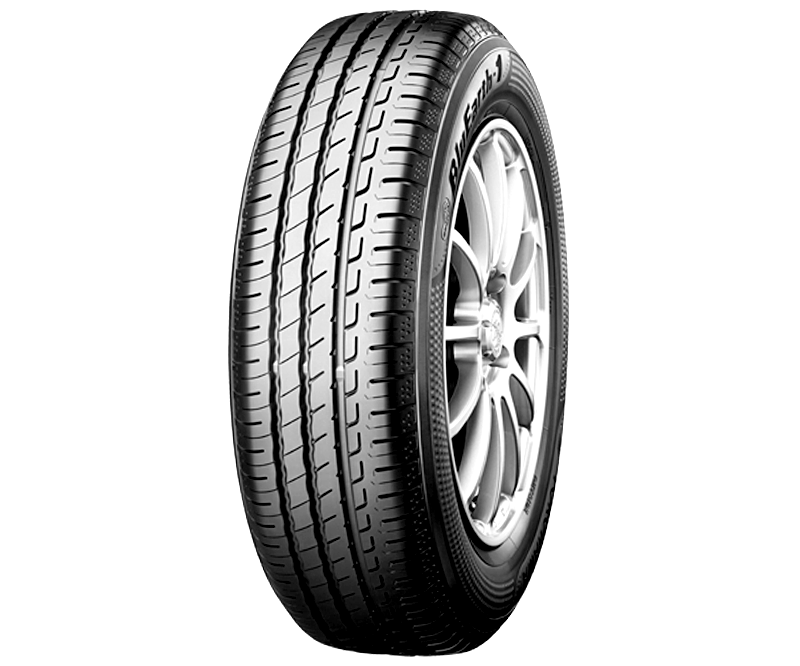 Approved by both Honda and Toyota as original equipment and part of the AVS dB range, this tyre is great for those looking for comfort and quiet. Designed to ensure maximum comfort the AVS dB range will suprise many with it's superb handling and safety features exceeding expectations in nearly all areas. The range is designed to be ultra quiet. With great perfomance in both the wet and the dry conditions, the AVS dB E70D is a great choice for those not convinced of the benefits of winter tyres yet. Scoring well in both internal and external EU tyre labelling tests in all sizes. 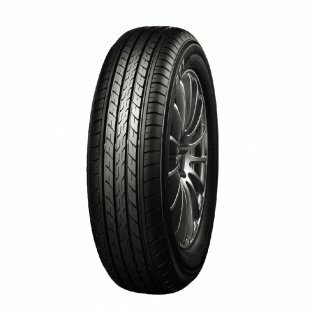 Approved by Porsche as original equipment and part of the AVS dB range, this tyre is great for those looking for comfort and quiet. Designed to ensure maximum comfort the AVS dB range will suprise many with it's superb handling and safety features exceeding expectations in nearly all areas. The range is designed to be ultra quiet. With great perfomance in both the wet and the dry conditions, the AVS dB E70N is a great choice for those not convinced of the benefits of winter tyres yet. Scoring well in both internal and external EU tyre labelling tests in all sizes. Yokohama's most fuel efficient tyre yet, the Yokohama Bluearth - 1 is designed especially for hybrid's, and electric cars as well as small/compact cars. 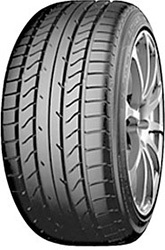 The EF10 is part of this new wave of ECO friendly tyres that form the BluEarth range. Designed specifically for Off road SUV's and 4x4's offering amazing grip and traction both on and off road. Combining the technology seen in the Parada series with the Geolandar series, sees the anti uneven wear technology introduced to the Geolandar M/T +. Probably the most popular tyre in the SUV/4x4 Class from Yokohama, the Geolanda A/T-S is produced in a massive range of sizes and is a superb all round 4x4 / SUV tyre. The Geolandar A/T-S provides excellent traction both on and off road and provides exceptional levels of wet level braking perfomance, scoring B or above in most sizes that the tyre is produced in. The anti uneven technology that is found in the Parada range is also applied here, helping to prevent uneven wear of the tyre and thus giving you more miles from you tyre. Used by many manufacturers as original equipment, including on the highly regarded Mercedes Benz G class. 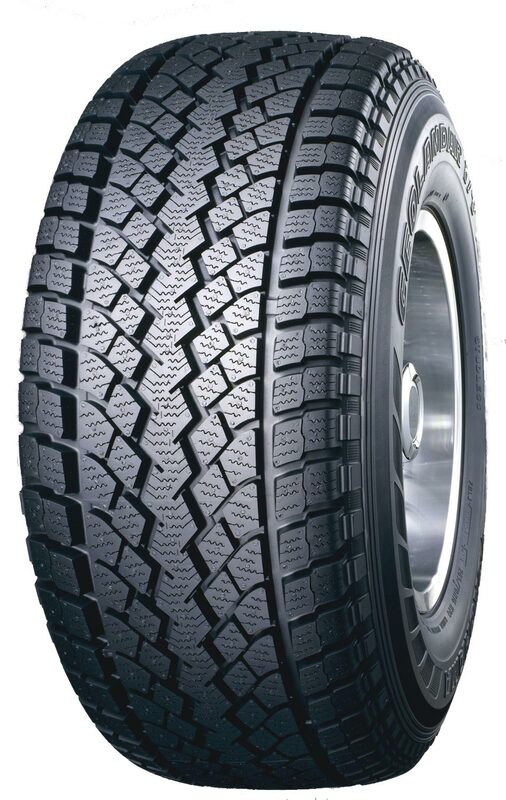 Used as original equipment by Mercedes for some of their 4x4 and off road models, and one of the most popular tyres in the SUV/4x4 Class from Yokohama, the Geolandar H/T - S G038 is produced in a massive range of sizes and is a superb all round 4x4 / SUV tyre. The Geolandar H/T-S G038 provides excellent traction both on and off road and provides exceptional levels of wet level braking perfomance, scoring B or above in most sizes that the tyre is produced in. Used as original equipment for the Mitsubishi Shogun, and one of the most popular tyres in the SUV/4x4 Class from Yokohama, the Geolandar H/T - S G039 is produced in a massive range of sizes and is a superb all round 4x4 / SUV tyre. The Geolandar H/T-S provides excellent traction both on and off road and provides exceptional levels of wet level braking perfomance, scoring B or above in most sizes that the tyre is produced in. Used as original equipment on the Mitsibushi Pajero, the Yokohama G902 is a tyre meant to handle the harshest conditions. Designed for both off and on road use and part of the Geolander range with the aim to make off road tyres as comfortable as possible without compromising perfomance the G902 is no different. 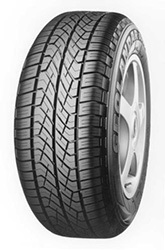 The Geolander G902 also carries the M&S stamp on the tyre sidewall to indicate it's off road capabilities. 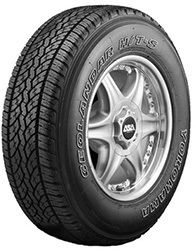 A Toyota approved original eqipment tyre, the Yokohama G91A encompasses a unique twin groove tread pattern, designed to help disperse, water, mud and anything els eas quick as possible and maintain grip. With a strong shoulder and excellent perfomance in both internal and external tyre tests, the Yokohama G91A is a great 4x4 tyre designed to last. Longer tyre life and greater handling without sacrificing the comfort as is usually expected with 4x4 tyres are both unique to the G91A. 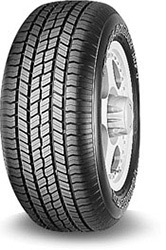 Used as original equipment by Subaru, the Yokohama Geolandar G95A H/T-S is a light truck / 4x4 tyre that can be used in all seasons and like most of the very successful Geolandar range has been designed to offer significant comfort for on road driving. With Long tread life and fantastic perfomance in both the wet and the dry, the Yokohama Geolandar G95A H/T-S is a great choice for those looking for a touring / 4x4 / light commercial tyre to see them through the seasons. 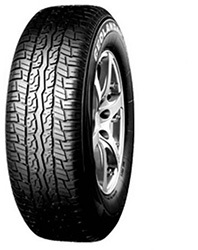 Used as original equipment by Mazda on their ever popular CX-5, the Yokohama Geolander G98A is part of the off - raod line up of tyres, designed to offer the comfort expecte from a passenger car tyre whilst driving a 4x4 or SUV. The Geolandar SUV Bluearth is designed for the smaller end of the market in terms of SUV's and 4x4's, think compact SUV, and more on road SUV's. Due to the targeting of the smaller SUV the tyre is able to give handling and comfort levels normally associated with passenger car tyres, and is far more enviornmentally friendly than some of the others in it's class. The wet grip and high levels of durability within the tyre allow for superb handling in all conditions without comprimising comfort. The Yokohama Geolandar SUV Bluearth also ranks incredibly well in EU testing for noise emissions, scoring well above other tyres in it's class. 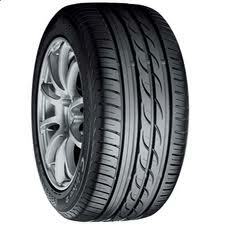 A great compact SUV tyre. 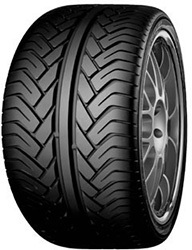 Designed using a Nano blend compound that oggers up: Longer tyre life, Fuel savings and improved wet grip performance. 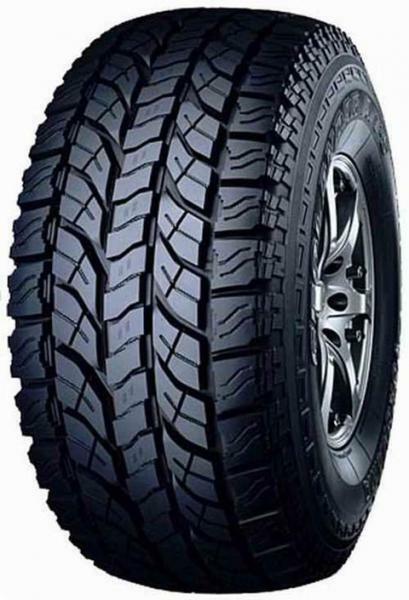 Part of the SUV and off road Winter range of tyres from Yokohama, the Geolandar IT + is designed for 4x4's, Off road SUV's and ultra high perfomance SUV/ 4x4 vehicles. With improved traction on earlier editions, and new technology implemented to reduce sliding in multiple directions, the tyre lends itself to be a great winter tyre . The Geolandar IT + has supreme leavels of grip on both snowy and icy conditions, with a tread pattern designed to disperse the snow and give a high edge effect, eliminating sliding. Scoring well in EU tyre testing this is a great choice 4x4/SUV winter tyre. 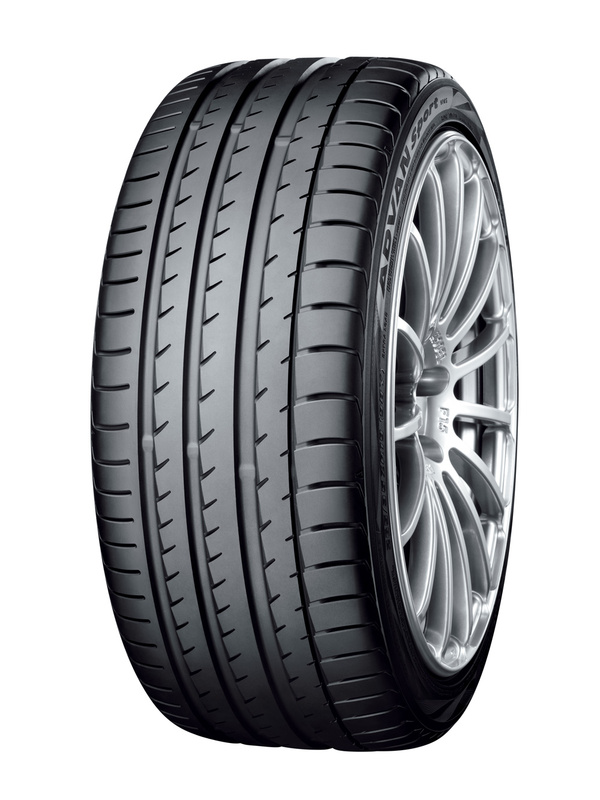 The Parada Spec - 2 is a performance tyre, designed with maximum grip in mind with a stylish tread pattern to match. With enhandced handling and great braking in both the wet and the dry, the yokohama Parada Spec - 2 is a great all round tyre. With limited sizes available though this tyre wont be able for many and those wanting a tyre in the Parada range should check out the Parada Spec - X as this is produced in a much larger range of sizes. The Yokohama RY818 Delivery star is a perfectly balanced commercial vehicle tyre, designed for use on Transports, Vans and light cargo vehicles. With incredible mileage and durability, combined with great wet braking perfomance lend this to be a great all round tyre for commercial useres. It's hardened tyre walls prevent damage from kerbing, a common issue with commercial tyres. 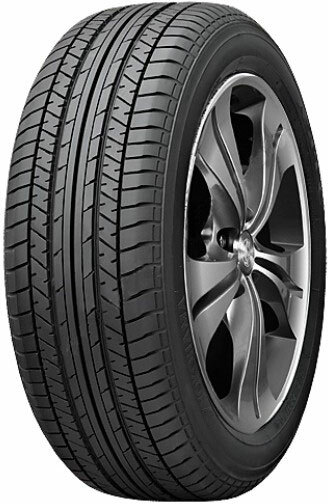 Used as original equipment and recommended by Toyota as replacement equipment for their leading Toyota IQ Model the Yokohama S70D is a great small / compact car tyre. Designed to offer great grip in summer conditions and handle well in the wet, the S70D is a perfect tyre for those city run arounds. 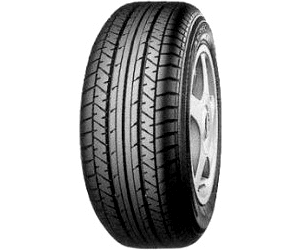 Just looking at the original equipment nod given to the Yokohama S71 A by Honda for use as OE and replacement tyres on it's Honda Jazz tells you abuot the quality of the tyre. 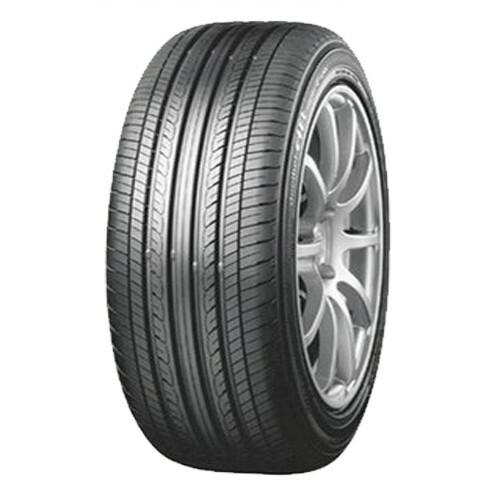 A great tyre for ciity driving, particularly in summer conditions and for use on road. 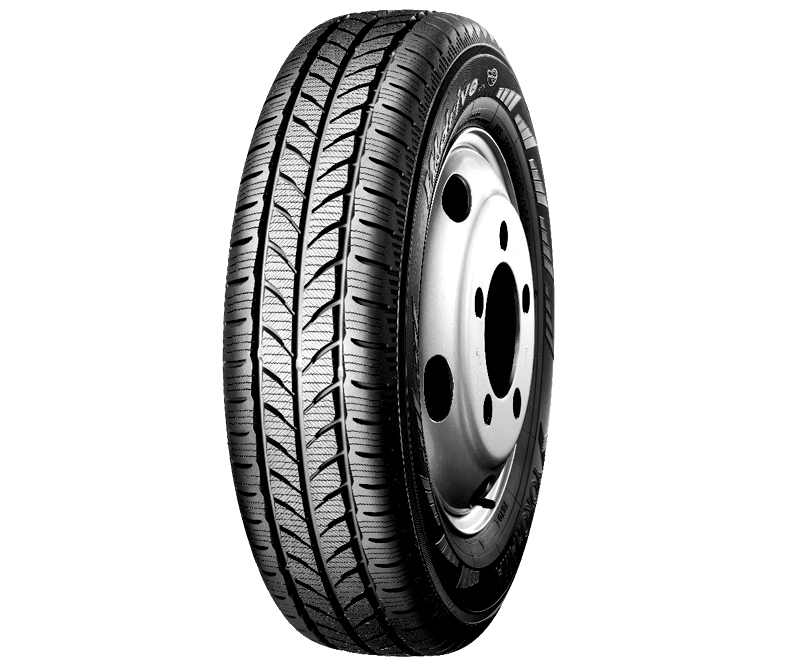 With great handling and control and perfoming well in all EU tyre labelling tests, the Yokohama S71A is also safety conscious. 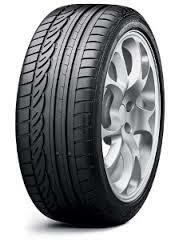 A high end sports perfomance tyre, the V102 has accolades to make most other manufacturers and models wince. With nods for original equipment use and replacement equipmenet recommendations from Aston Martin, Porsche and Alfa Romeo, the calibre of the Yokohama AVS Sport V102 has never been in doubt. 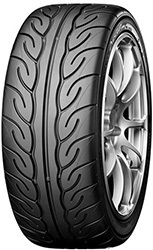 With a highly distinctive tread pattern designed in the shape of a Y, it not only looks the part but also is the part. 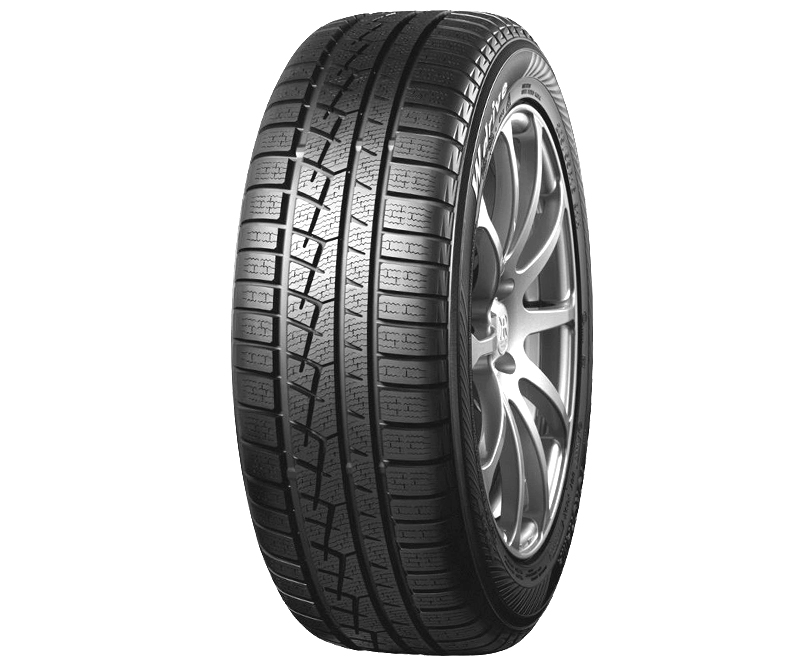 With the Y tread pattern designed to minimise the noise levels of the V102 AVS Sport and the uniqe compound make up of the tyre ensuring maximum durability adn therefore wet weather grip and perfomance, this is not any ordinary perfomance tyre. A fantastically well balanced perfomance tyre offering stability and traction in some of the trickiest situations. 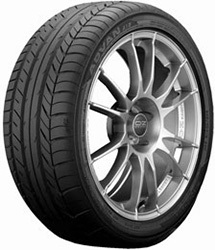 The Predecessor to the Advan sport v105, the Advan Sport is probably one of Yokohama's most successfuls tyres to date. A Flagship for the brand for use on premium cars and high performance SUV's alike, designed with speed, safety and comfort in mind. With a speed rating of up to 300kmh and receiving strong scroes in EU tyre labellingin tests this is a great premium all round tyre. The Advan sport is used as original equipment on models from Audi, Bentley, Mercedes AMG, Porsche, VW and many more, backing it's claim as one of the best. Like so many tyres in the Yokohama range, you only need to look at the Yokohama Advan Sport V103 AMG's number of Original Equipments that it has achieved in order to gauge it's success. This special edition of such a high perfomance tyre has been produced in association with AMG Mercedes in order to optimise perfomance of some of their models. The Flagship tyre for so long in the Advan range, the V103 AMG offers incredible perfomance in all aspects, whether through corners in the wet or dry or braking, the Advan Sport V103 AMG wont let you down. The Asymmetric tread pattern and block design allow for supreme water dispersion and grip in the wet, and low noise emissions combined with a smooth ride, make this tyre a winner in nearly all critics books. The Advan sport V103 AMGis used as original equipment on models from Audi, Bentley, Mercedes AMG, Porsche, VW and many more, backing it's claim as one of the best. 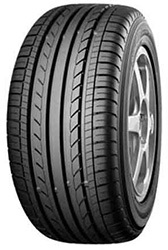 The Predecessor to the Advan sport v105, the Advan Sport V103B is probably one of Yokohama's most successfuls tyres to date. A Flagship for the brand for use on premium cars and high performance SUV's alike, designed with speed, safety and comfort in mind. With a speed rating of up to 300kmh and receiving strong scroes in EU tyre labellingin tests this is a great premium all round tyre. The Advan Sport V103B is used as original equipment on models from Audi, Bentley, Mercedes AMG, Porsche, VW and many more, backing it's claim as one of the best. 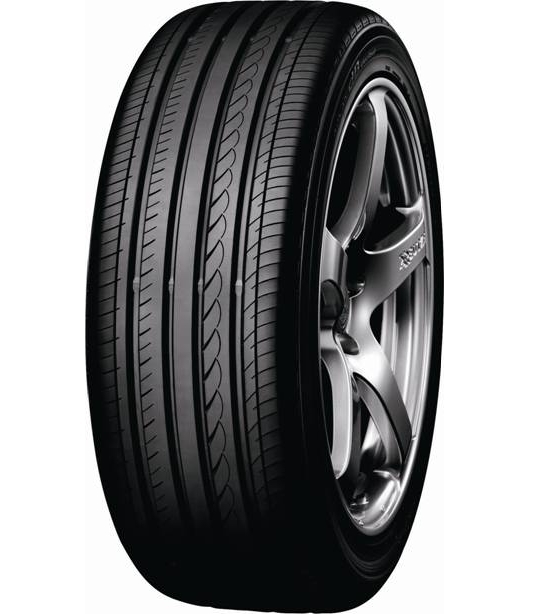 The Predecessor to the Advan sport v105, the Advan Sport V103D is part of one of Yokohama's most successfuls tyre ranges to date. A Flagship range for the brand for use on premium cars and high performance SUV's alike, designed with speed, safety and comfort in mind. This particular model, the Yokohama Advan Sport V103D has been created in partnership with Honda to achieve maximum perfomance when used on some of their models. The Advan sport V103D is used as original equipment on models from Audi, Bentley, Mercedes AMG, Porsche, VW and many more, backing it's claim as one of the best. 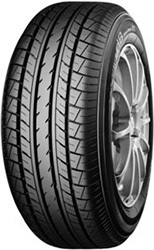 YOKOHAMA's flagship premium tyre, the ADVAN SPORT V105 is designed to be used on high performance luxry cars a claim supported by it's use as original equipment on a number Mercredes models including the CLS, SL, & the SLK. With almost all sizes in the range receiving an A rating in the EU tyre testing for Wet braking you can rely on the Advan Sport V105 for safety as well as performance. 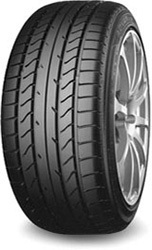 Yokohama describe the tyre as a perfect balance between sport and comfort. 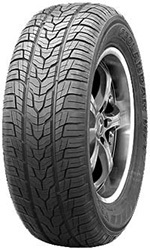 Designed as summer touring tyre the Yokohama V550 is manufacturered primarily for passenger vehicles and estates, offering an exceptionally quiet perfomance and smooth ride across a range of sizes. Perfect for luxury saloons, including the likes of Jaguar and BMW, handling well in all conditions. Used by Lexus as original equipment on their CT200 model, the Yokohama V870 is available today at Easywheels.co.uk. A great luxury saloon tyre offering incredible value for money. With perfomance unaltered in either wet or dry conditions and offering exceptionally quiet and smooth rides, the V870 aims to please the most discerning tyre customer. Part of Yokohama's winter tyre line up, the V901 Advan Sport aims to bring the perfomance and handling normally reserved for dry weather tyres to winter tyres. With exceptional grip and Polyhedral sipes, the V901 AVs will not let you down this winter. Everything about the tyre and it's tread pattern and blocks design is done to ensure the fastest possible dispersion of water to maintain handling and control. Perfect for those worried about safety in the winter but not wanting to comrpomise on perfomance. 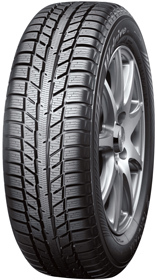 The flagship model of Yokohamas Winter tyre offerings, the W.Drive V902A is a high spec tyre designed to get you through all road conditions what ever the wheather throws at you. The 3D sipes usied in the surface enable a high level of balance an performance on all surfaces. The compounds used in the construction of the tyre allow it to remain pliable in even the harshest temperatures. Scoring well in EU testing for wet weather performance and Noise emissions (Compared with other winter tyres) this is a great choice for those looking for a premium winter tyre. 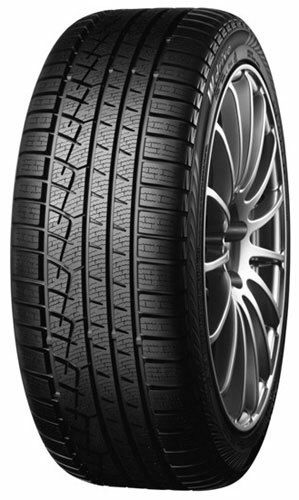 The flagship model of Yokohamas Winter tyre offerings, the W.Drive V902A is a high spec tyre designed to get you through all road conditions what ever the wheather throws at you. The 3D sipes usied in the surface enable a high level of balance an performance on all surfaces. The compounds used in the construction of the tyre allow it to remain pliable in even the harshest temperatures. Scoring well in EU testing for wet weather performance and Noise emissions (Compared with other winter tyres) this is a great choice for those looking for a premium winter tyre. 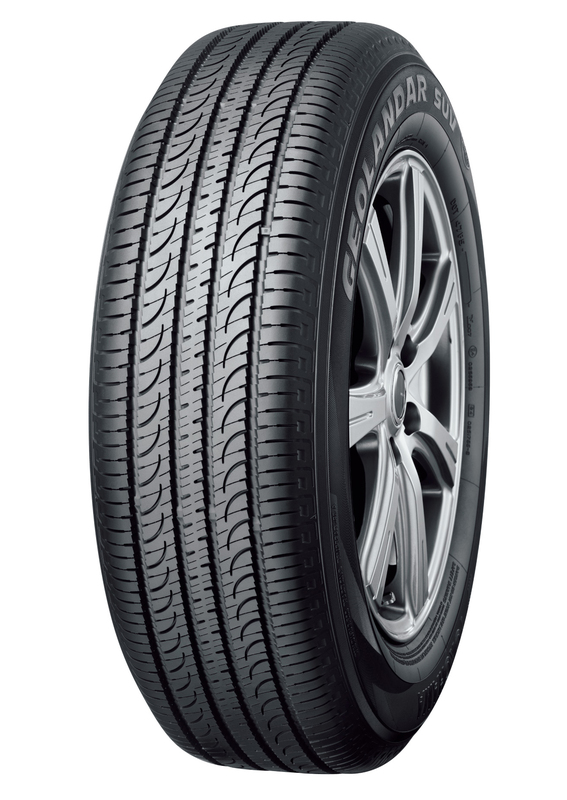 Like it's sister model the V902a the Yokohama W.Drive 902b is one of the brands flagship winter tyre models. It also, like the V902A has the 3D sipes designed to afford great levels of grip and perfomance on both dry, wet and snow covered ground. With great balance and low noise emissions this is the perfect premium winter tyre for family cars, saloons, and coupe's alike. Produced in a wide range of sizes, but with limited stock each winter be sure to order early to avoid the disappointment. 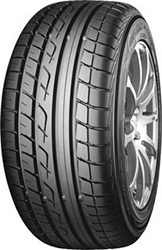 Part of the Yokohama winter tyre line up the W.Drive V903 is perfect for small to mid range cars. Produced in sizes from 13 - 16 inches and designed to keep your family safe with great performance in wet, dry and snow covered surfaces. 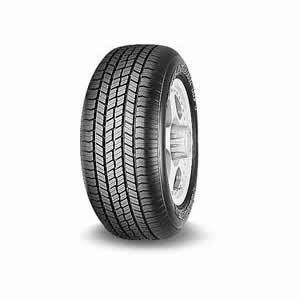 With some of the lowest noise emissions of any winter tyre this is great for those valuing their comfort whilst driving. Providing high perfomance in all conditions and in the harshest conditions the W.Drive V903 is a great option for the family car this winter. 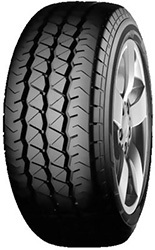 Part of the light commercial line up of tyres from Yokohama, the W.Drive WY01 is their winter edition of their range. It is omptimised to have the strongest tread design and deliver excellent performance throughout all conditions. 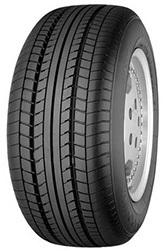 Used as original equipment on some Suzki models, this Van tyre is also available in sizes desgined for use on SUV and light commercial vehicles. Designed with longevity in mind, the Y355's tread pattern design will also help you to keep going in some of the tougher conditions the enviornment offers up without having to switch so early to winter tyres. 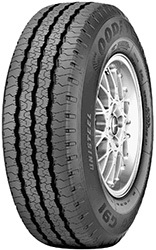 The Yokohama A34LZ Bluearth follows a long line of similar tyres in being produced in conjunction with a major vehicle manufacturer. In this case the A34LZ Bluearth has been produced and designed in conjunction with Mitsubshi to offer a great all round tyre that's perfomance is further enhanced when used on some Mitsubishi models. 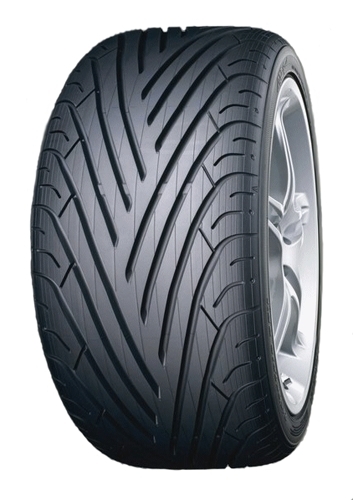 Superb handling in both the wet and dry, with strong scoring in EU Tyre label tests. Designed and produced in association with Mitsibushi, the Geolander G033V has been approved as original and replacement equipment on one of the Mistibushi's flagship 4x4's the Mitsibushi Shogun. 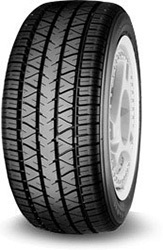 Part of the Geolander range of 4x4 tyres, the Yokohama G033V is designed to offer comfort expected of a passenger car tyre whilst providing the handling and perfomance characteristics associated with a larger, heavier and more traditional 4x4 tyre. 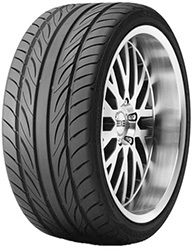 The Yokohama ADVAN Neova AD08R is designed with speed in mind. 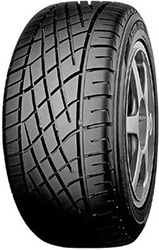 Designed for sports cars and club cars the Neova AD08R is claimed by Yokohama to be the fastes street tyre in the world. 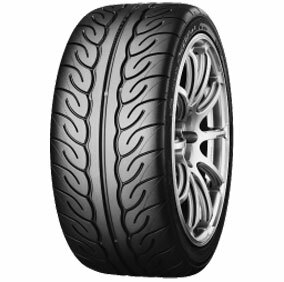 With incredible dry grip and excellent perfomance in the wet, this tyre is ready for both the track or the road. The Advan Neova AD08R hasbeen developed by some of the worlds leading race engineers and was born for the track enviornment. 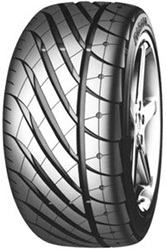 Designed to be the fastest road tyre that Yokohama have. Described by many as "Legendary"
YOKOHAMA's flagship premium tyre, the ADVAN SPORT V105 is designed to be used on high performance luxry cars a claim supported by it's use as original equipment on a number Mercredes models including the CLS, SL, & the SLK. This special edition has been approved and recommended by Mercedes as Original and Replacement equipment for some of their models. With almost all sizes in the range receiving an A rating in the EU tyre testing for Wet braking you can rely on the Advan Sport V105 for safety as well as performance. 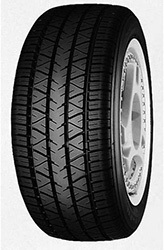 Yokohama describe the tyre as a perfect balance between sport and comfort. This special edition has been approved and recommended by Toyota as Original and Replacement equipment for their Prius range of hybrid cars and models.